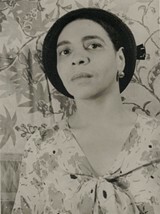 Nella Larsen's 1929 novel Passing tells the story of two mulatto African-American women in Harlem. One of the childhood friends passes for white and uses the ambiguity to escape from Harlem and live a different life, marrying a white man at a time when it would be illegal for her to do so. The novel is the subject of the SRJC's spring lecture series, drawing immediate parallels to the current Supreme Court debate on the so-called hazards of gay marriage. The 1967 Supreme Court decision striking down laws prohibiting interracial marriage keeps popping up on Capitol Hill; "That was a different time," conservative justices like Antonin Scalia argue, while making the same arguments against gay marriage that were made against interracial marriage. Hopefully, history will repeat itself. The Loving Story, a documentary about that 1967 decision, screens with a discussion on Wednesday, April 10, in Newman Auditorium at the Santa Rosa Junior College. 1501 Mendocino Ave., Santa Rosa. 6pm. Free. In 1851, there were roughly 8,000 Wappo Indians in the valleys of Sonoma and Napa. That number has dwindled to 340, concentrated in the Mishewal Wappo Tribe of Alexander Valley. Tribal chairman Scott Gabaldon is now fighting for federal recognition, arguing that it was an act of Congress in 1959 that took away their land and tribal status in the first place. Fears of nonexistent casino plans are forcing him to fight harder, with a July 25 U.S. District Court date to determine the tribe's fate. Gabaldon tells the story of his tribe in the SRJC's Newman Auditorium on Friday, April 5, at 7pm. Free.